Where DID the past week go? I don’t even know. Oh right… for me it circled around loads of fun septic tank adventures and yard clean up. Then going bike riding daily to forgetaboutitall. Not exactly a super exciting DIY week to say the least. However, it DOES feel so good to dig DEEP and get those long overdue things checked off the very long list. You know the list… the stuff that you see over and over yet never gets resolved. It starts to weigh on you because you mentally have to revisit the same ‘ol story each and every day. My list has grown long, because these are tasks that I either have never done before, or appear difficult to accomplish… or I may even be a little (afraid) to tackle them. BUT… I will admit this. Actually busting through that brick wall will lift your spirits like nothing else. Nothing! After dealing with and covering up the last septic hole in the ground, I felt elated, like I had moved to a new home or something. And I got another bathroom working again… no small feat! So my point? 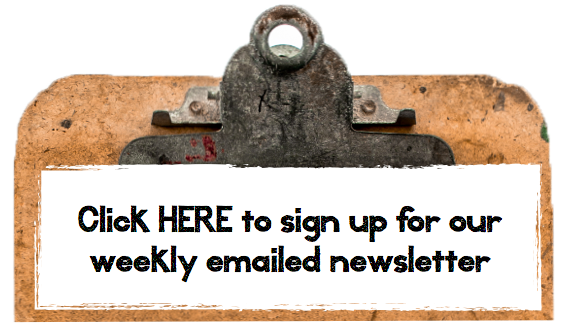 Make your list and GET DOWN TO IT. 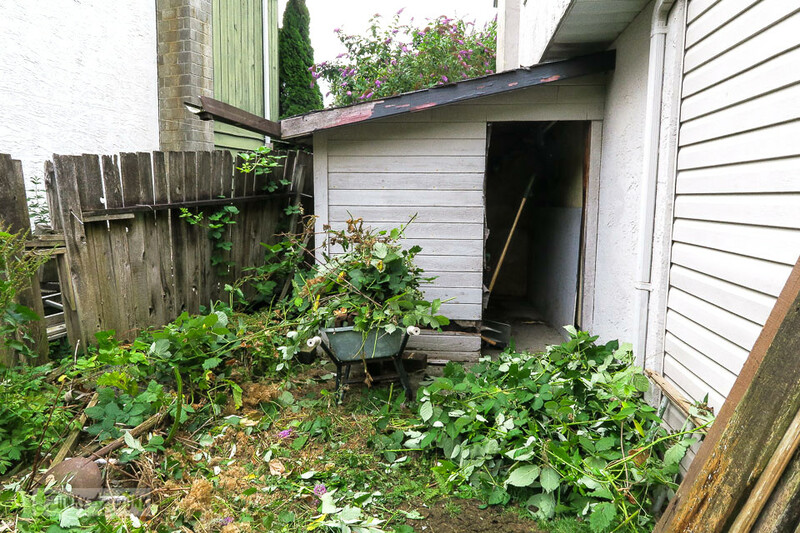 One of those long forgotten difficult areas is the real garden shed. This is not a pretty post, but does show the before, and midway. Building the fence back up is next, and I also invite your ideas on how you see this space evolve. Join Part One and the convo HERE. 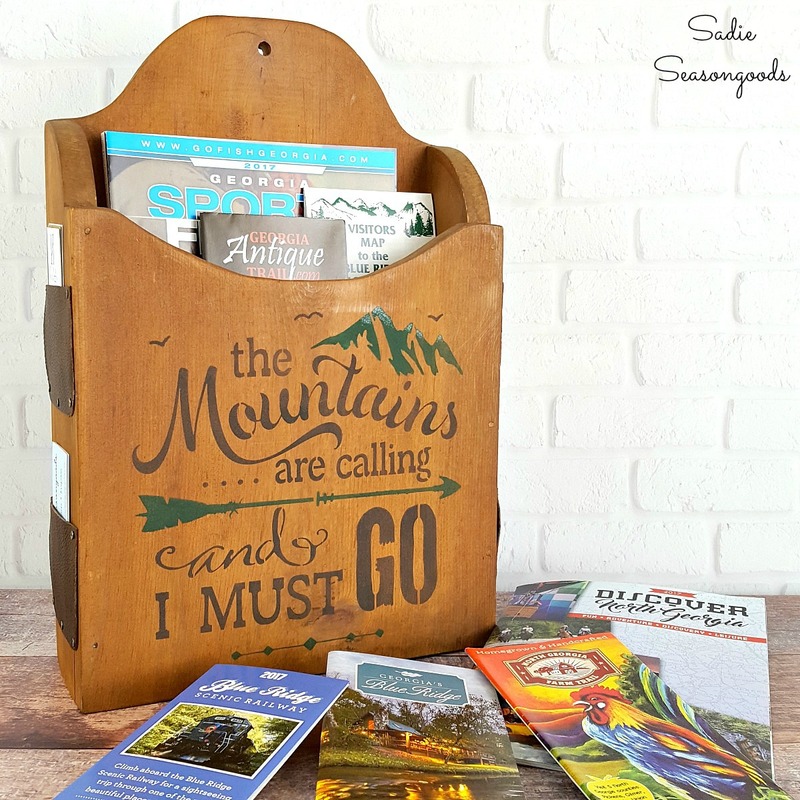 If you love a vintage ladder look, look no further than a little bit of lumber and make your own! LOVE the shapes so much! 1. Why don’t they make gorgeous flour bins like this any longer? 2. Because I want one! What a perfect way to use one too! This real wood wall covering came bundled in a colour coordinated kit! How cool! 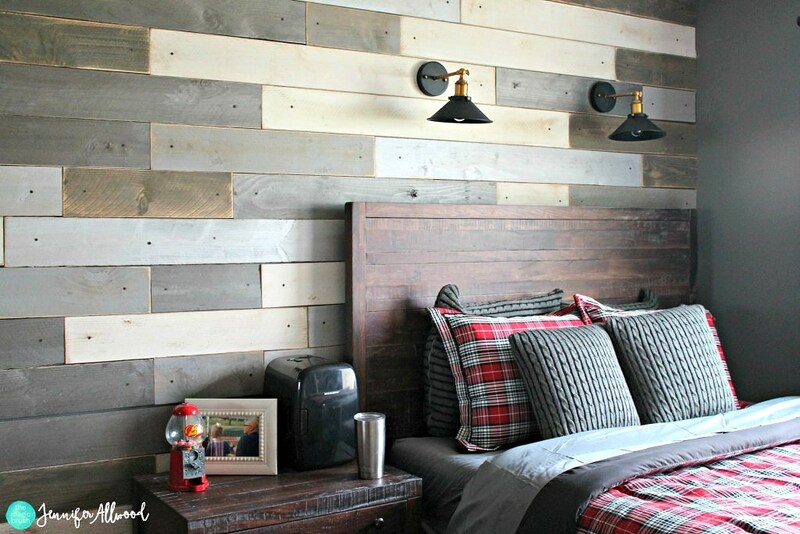 Love the mix of greys and wood. It’s so easy on the eyes! If you love the look of metal, perhaps a zinc top may be your answer. What a perfect splash of industrial with a productive reason to be there! If you love cozy interiors, this tour is worth a peek. I love all the vintage and repurposed details! 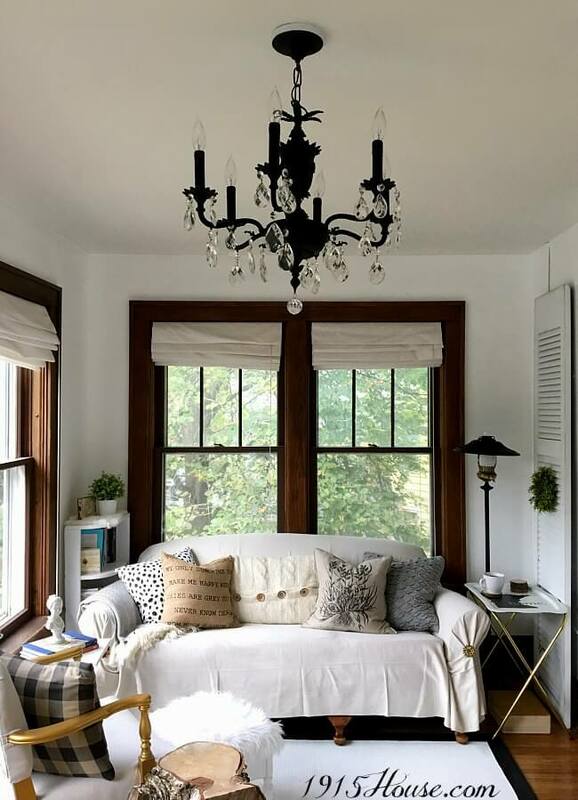 Bright light and cozy to the max. Those ugly bead back massagers may be worth a second wince… and purchase! 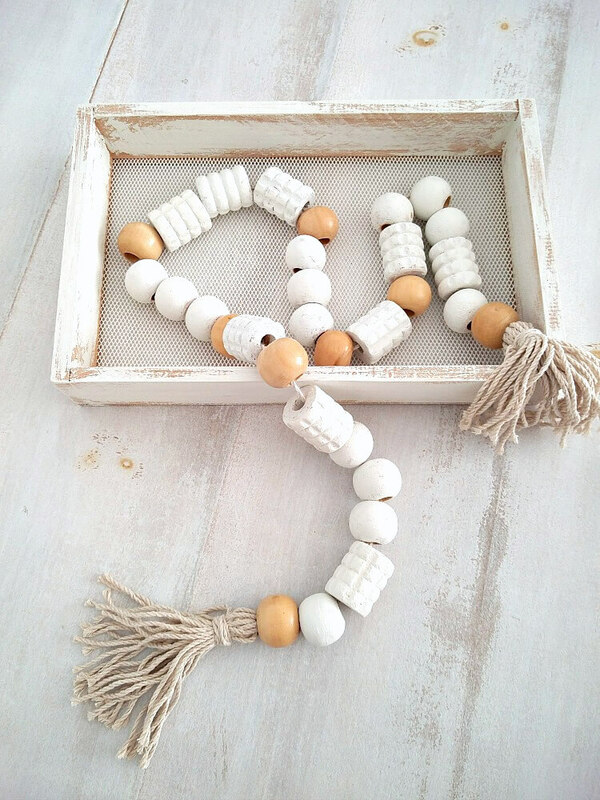 This wooden bead garland is perfection! Love the tassel styled ends with the mix of white and wood. 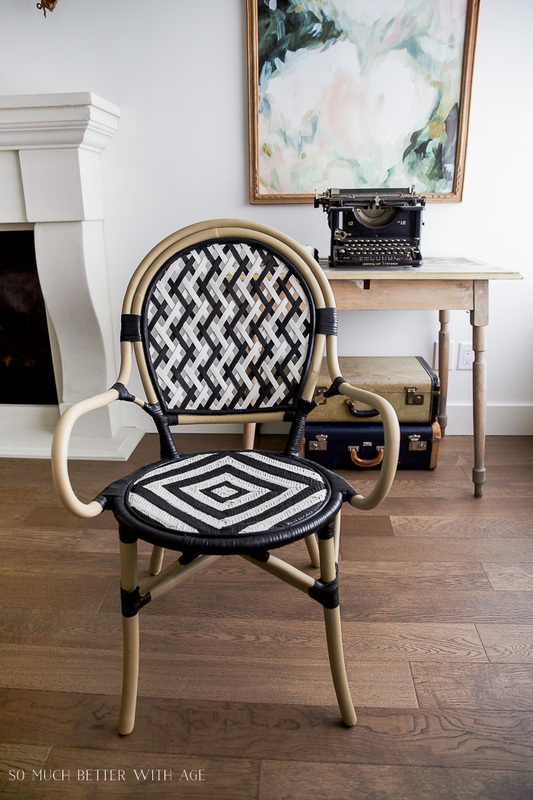 The term, ‘it’s all about the paint’ would definitely qualify with this gorgeous chair redo. Super clever using the chair features to dictate the design. 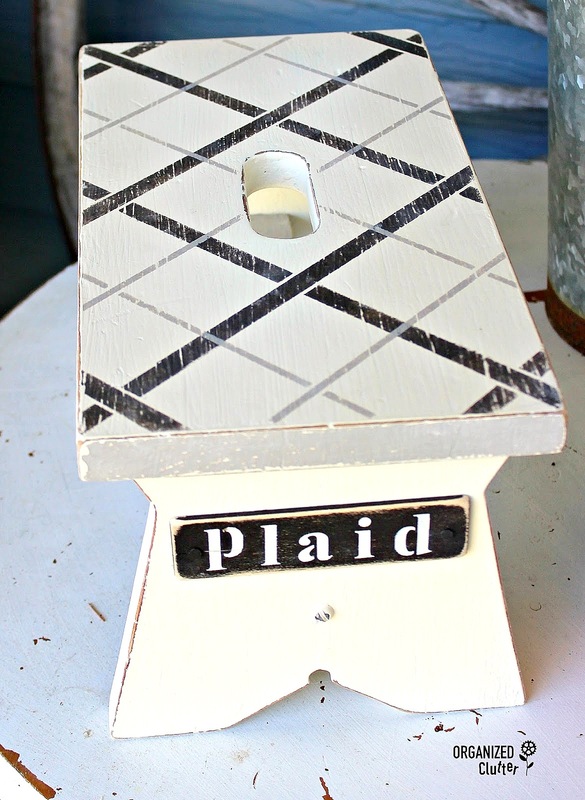 LOVE how two plaid stools works so well in bringing different tones together! Be sure to click to see the other. 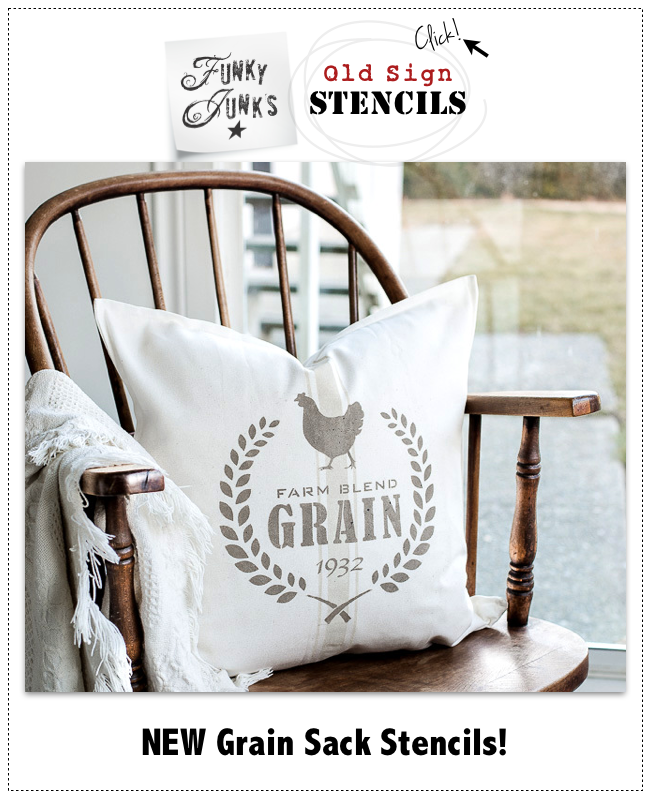 So pretty and made with easy to use stencils. I really don’t think a coaster could possibly be more joyful than this fascinating idea! 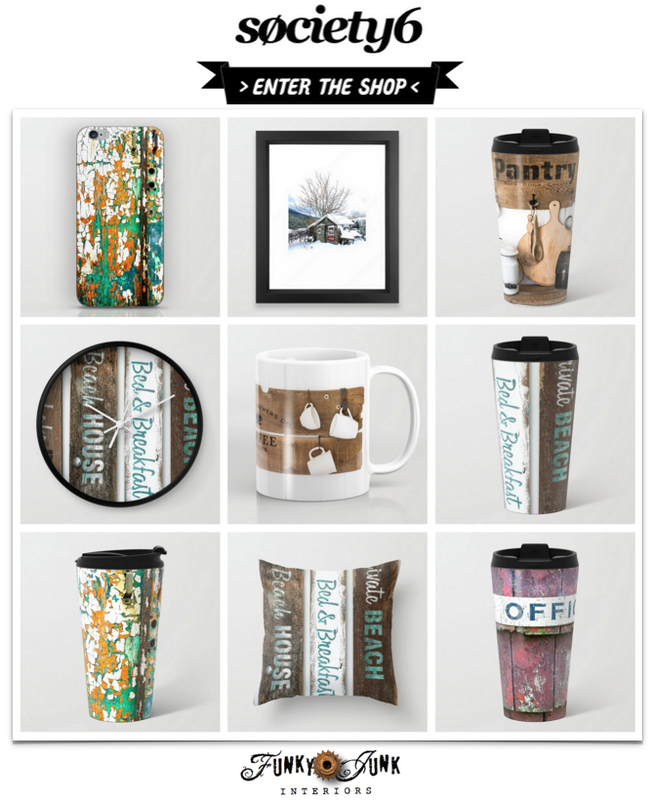 Perfect gift idea for the artist in your life. Could a stencil be any more perfect for this use?! Super sweet design! 3. Only projects new to this link party please. The themed linkup (if applicable) is an exception. Hi Donna – my DIY hit the dust this week but your work clearing the overgrowth around your storage shed did wonders to give me a push to begin with my storage areas – I made some good progress in storage # 1 (of 4) and have cleared out 2 boxes to donate, 1 bag of garbage and 4 boxes of stuff that has now left the building – that is what I blogged about this week. Upcycled by giving someone else a chance to shine. Thank you for hosting, Donna! Happy weekend to you! 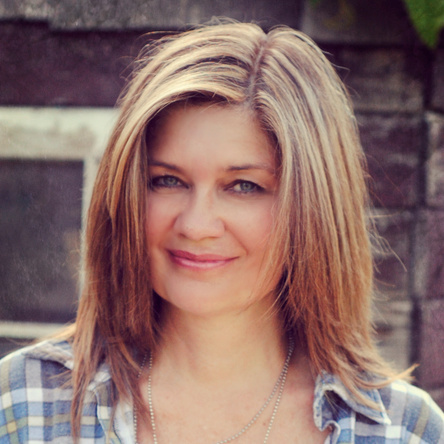 Donna, Thank you so much for featuring the back massager garland!!! Happy Weekend! It, again, sparked my desire for a ladder to use in my own home. 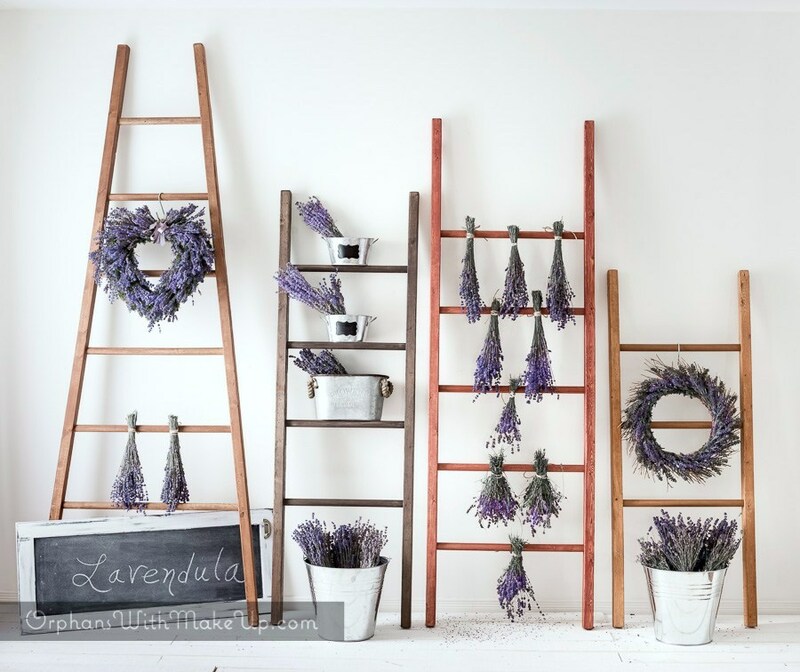 We are always stringing our lavender in the basement to dry and this was such a lovely way to dry lavender! Again, thanks for the inspiration. Well you are definitely getting a workout! Thank you so much for featuring my ladders. Have a nice weekend. Thanks for hosting, Donna! 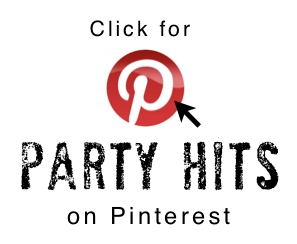 My projects this week are providing your link party with some good, gold, fall color! 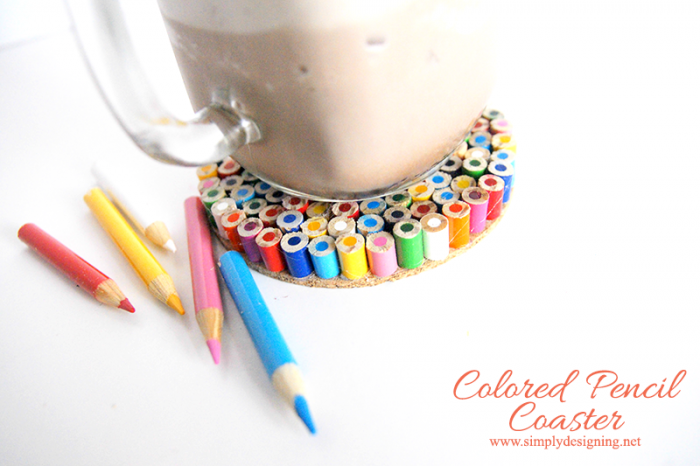 Love the cute plaid stools and the colored pencil coaster features=awesome! Have a great weekend; don’t work too hard on that shed project! Thank you for featuring my Colored Pencil Coasters this week! 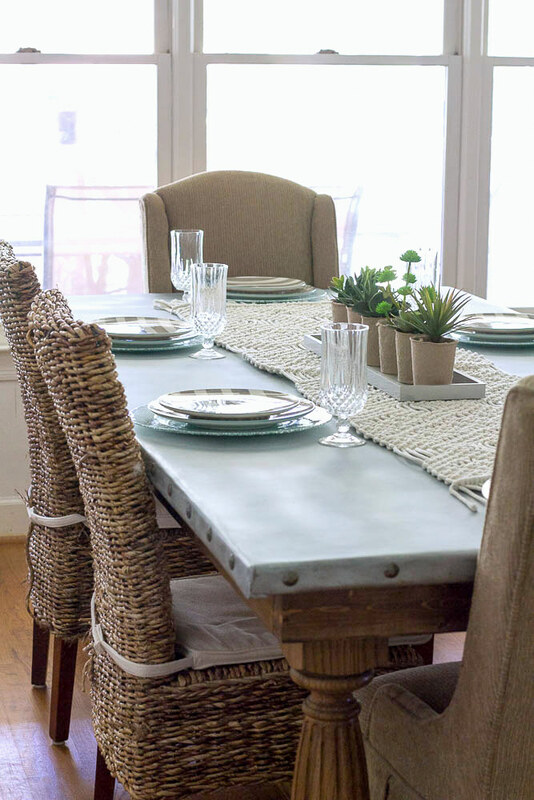 Thanks so much for featuring my DIY French bistro chair, Donna! Have a great weekend, friend. My pleasure Jamie! Your chair idea took mere paint to a whole new level…. My pleasure, it is GORGEOUS! 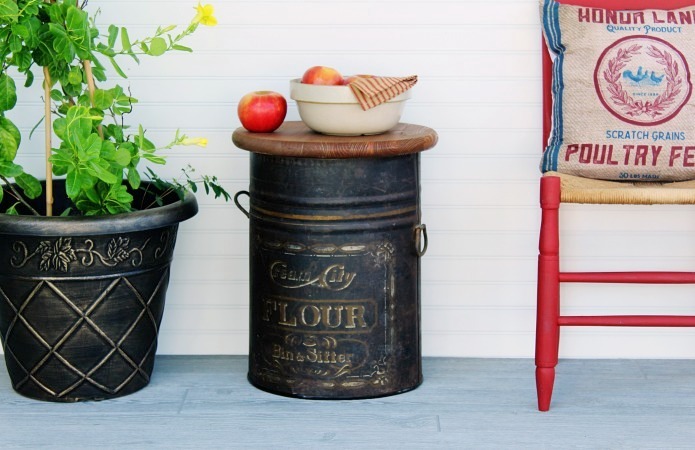 Thanks for featuring my sweet little flour bin table, Donna. I hope you are having a beautiful weekend! we may not be cooling off yet in NC, but the party has me thinking about creating again! This has been the best Linky Party EVER! Been a fan of your work and and this blog for years. I was WOWed!!! This Linky Party was more like it used to be! 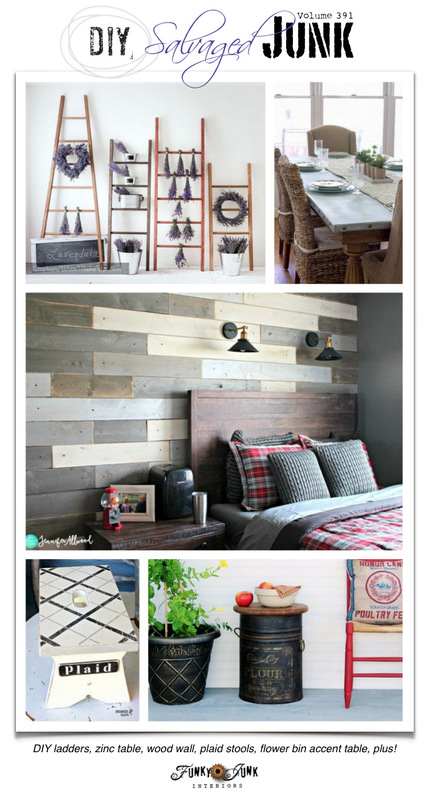 Some great ideas using recycled materials, reclaimed wood, and repurposing! Things I think I could do! Creating using materials I would not have thought of! Tutorials!!!! Thank you! You gave me night of inspiration!!! Thanks for hosting Donna and for featuring my little plaid stool.